After NBC announced it would discontinue using Studio 6A — the former home of “Megyn Kelly Today” — for “Today Third Hour,” the network has found another temporary use for it. The network held a preview of the “Meet the Press” Film Festival Thursday, Jan. 17, 2019 in the studio, hosted by the show’s moderator, Chuck Todd. 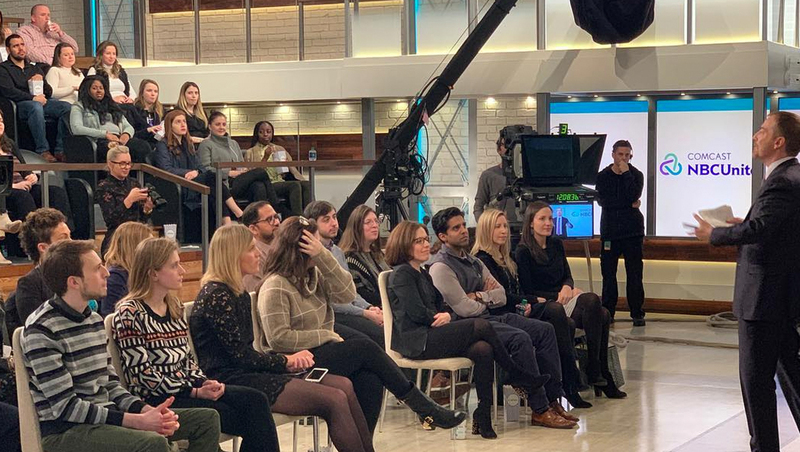 According to photos posted to the show’s Instagram account, the preview included an audience seated in 6A’s risers as well as at least some of the on-floor seating “Megyn Kelly Today” and “Today Third Hour” used. Audience members were also seated on one of the two small balconies that jut out on either side of the set. The home base of the set, however, was covered with a large black drape with what appeared to be a rear projection screen for showcasing the films built in. Some of the set’s video walls were still visible and were fed with white, blue and violet “Comcast NBCUnites” logos.